Living in Central Florida for most of her life, Harris, has a fondness for the natural beauty of the world. Harris looks for beauty everywhere as her inspiration for her work. Harris comes from a long line of Artists. Her mother (Sharon Rae Hyder) is an accomplished professional artist and was an art instructor at the Hyder Gallery Center for Fine Art. Harris taught along side her mother at Hyder Gallery. "I have been a student of my mother all my life", said Harris, "Much of my training occurred on our many projects together". "The rest came naturally from practice and osmosis". Harris grew up with paint tubes and canvas always available. "Painting was just always part of my childhood landscape" she further related. Her "Animal Eye" series of Acrylics paintings have been her most noteworthy work to date. To watch her get lost in every strand of fur is truly a treat. Her love of animals and nature is where she finds her joy; her own "copies of creation". Harris is also an accomplished portrait artist, she often does commission work for both personal and corporate applications and even pet portraits. Harris is also the sister of well known artist and sculpture, Andrew Dean Hyder. 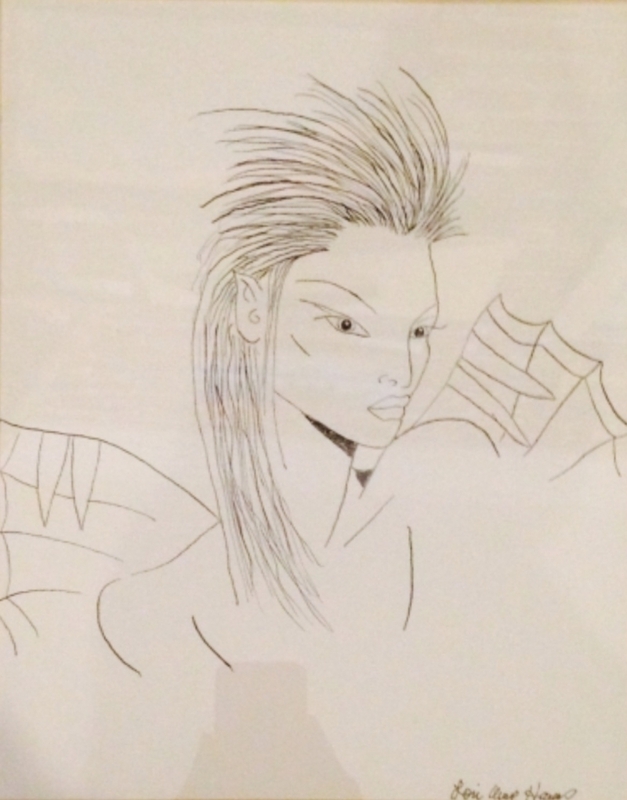 A beautiful butterfly woman in India ink. Lori Anne Harris (Hyder) Professional Artist, Art Teacher Living in Central Florida for most of her life, Harris, has a fondness for the natural beauty of the world. Harris looks for beauty everywhere as her inspiration for her work. Harris comes from a long line of Artists. Her mother (Sharon Rae Hyder) is an accomplished professional artist and was an art instructor at the Hyder Gallery Center for Fine Art. Harris taught along side her mother at Hyder Gallery. "I have been a student of my mother all my life", said Harris, "Much of my training occurred on our many projects together". "The rest came naturally from practice and osmosis". Harris grew up with paint tubes and canvas always available. "Painting was just always part of my childhood landscape" she further related. Her "Animal Eye" series of Acrylics paintings have been her most noteworthy work to date. To watch her get lost in every strand of fur is truly a treat. Her love of animals and nature is where she finds her joy; her own "copies of creation". Harris is also an accomplished portrait artist, she often does commission work for both personal and corporate applications and even pet portraits. 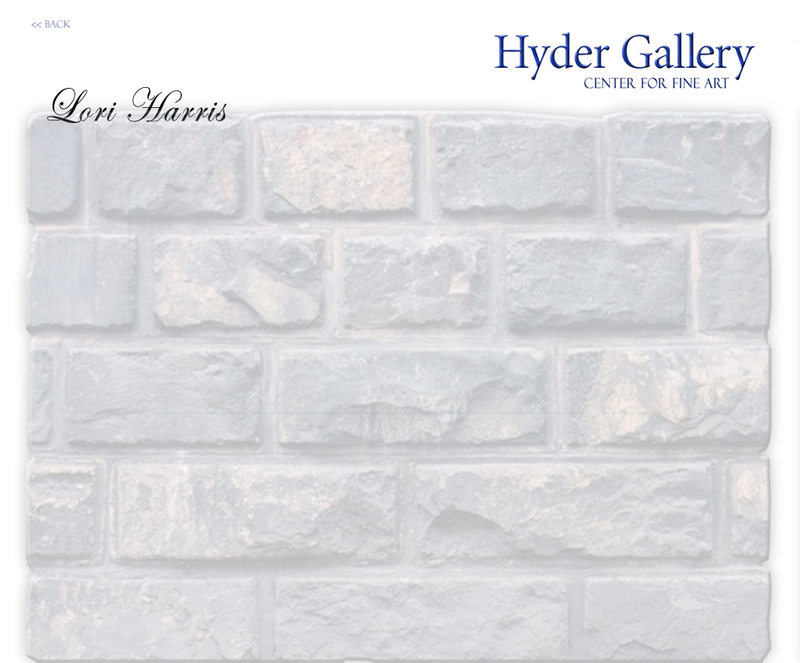 Harris is also the sister of well known artist and sculpture, Andrew Dean Hyder.